You set off at the crack of dawn but it's still quite a way to the next camp, and some of it's pretty steep going. 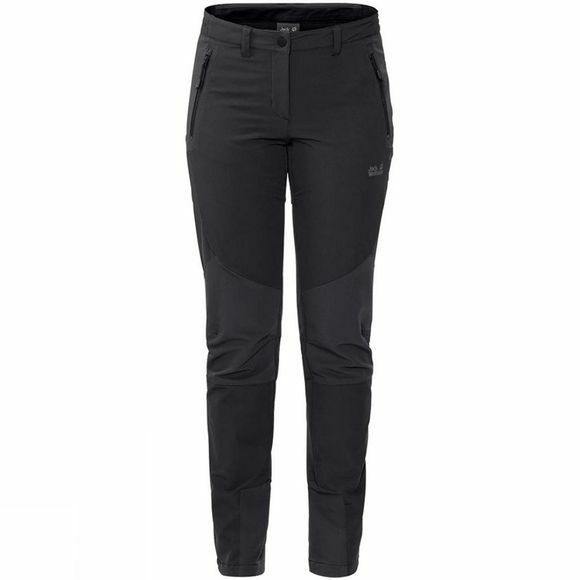 The Womens Exolight Mountain Pants from Jack Wolfskin stretch as you move, so they make light work of tough terrain. 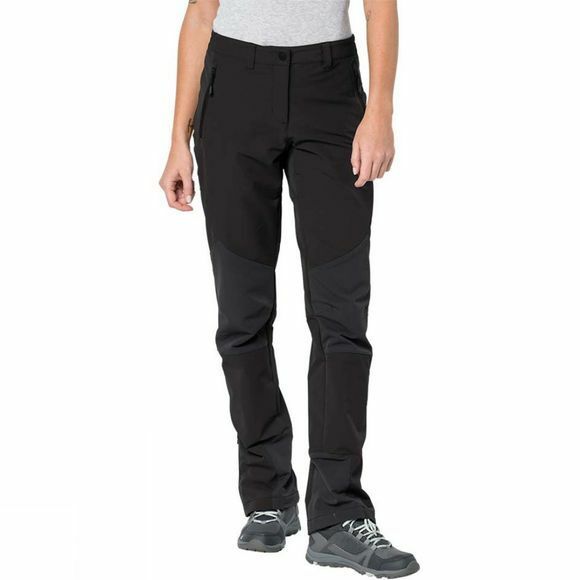 These softshell trousers are amazingly breathable and flexible and are a top choice for big days in the mountains. The knees, seat and ankles are reinforced for extra abrasion resistance, a feature you'll appreciate on multi-day backpacking trips. They will easily cope with light showers. They have a slightly narrower, athletic fit, so if the light shower turns to heavy rain you can easily pull your overtrousers on over the top. They were developed and tested in collaboration with the guides at the Alpinschule Innsbruck (ASI) and bear the "ASI Approved Product" seal of approval.